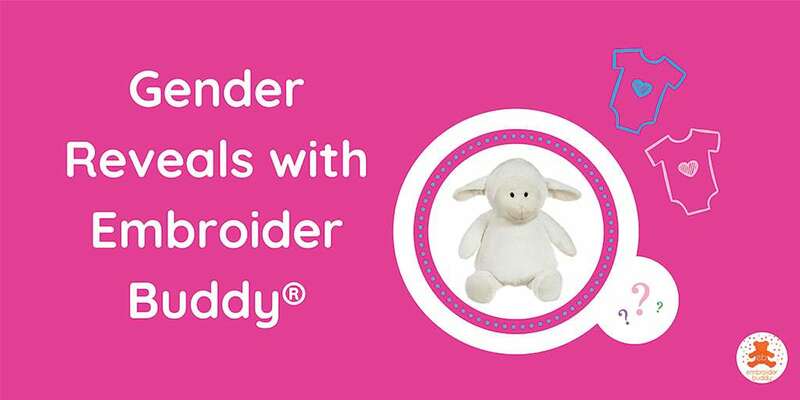 Gender reveal parties show no signs of slowing down in 2019 and Embroider Buddy® wants to help inspire your celebration. Here are some fresh and fun ideas that will make your gender reveal unique and memorable! This super cute idea was posted to our Facebook Page and it’s so clever we had to share! Our easy-access zipper is not only great for embroidery, but it’s also a great hiding spot for your gender clue. Just choose your favourite Buddy and fill it with pink or blue confetti and watch “the big reveal” sparkle throughout the room in celebration. You’d think Kerry Kangaroo Buddy was made for baby announcements! Not only is she cute as a button, but she also carries her little Joey everywhere, just like the momma-to-be. 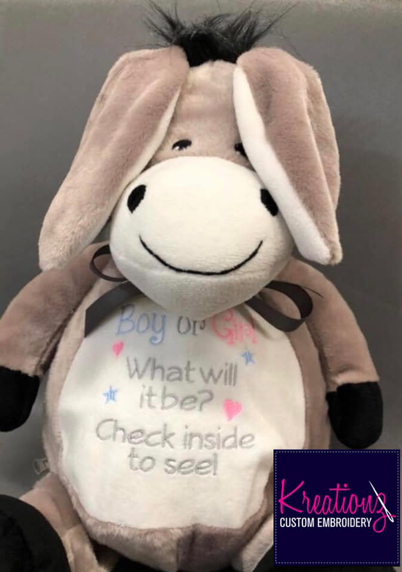 Tie a long pretty pink or beautiful blue ribbon around Joey’s foot and surprise friends and family by revealing the baby’s gender as it trails out of Kerry’s pouch. That’s a surefire way to get an “awwww-worthy” reaction! Mom and Dad aren’t the only ones excited, baby’s older brother(s) or sister(s) are too! 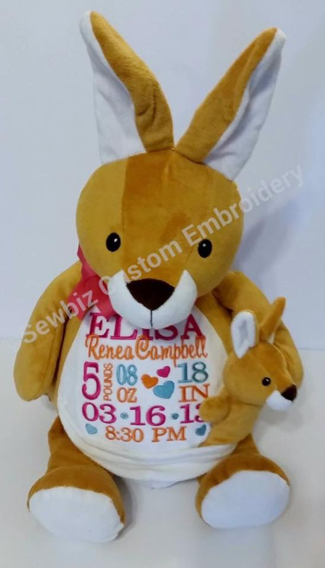 Gift a little one(s) with a personalized Embroider Buddy® and let them help you with your announcement. 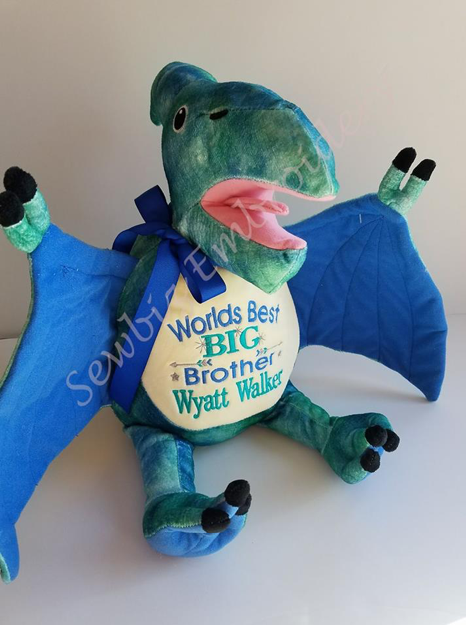 Sayings like “Promoted to big brother!” or “Baby sister on the way!” are cute and simple ways to announce your baby and their gender. Is someone special in your life having a baby but either not revealing the baby’s gender, or choosing to wait until the big day to find out? 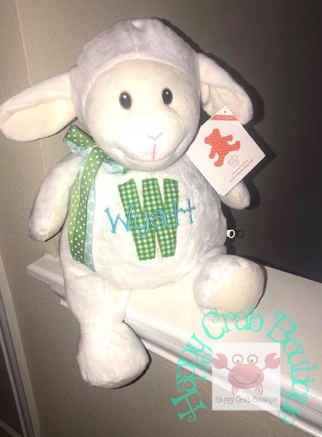 Here is the perfect gender-neutral keepsake for their little one on the way! 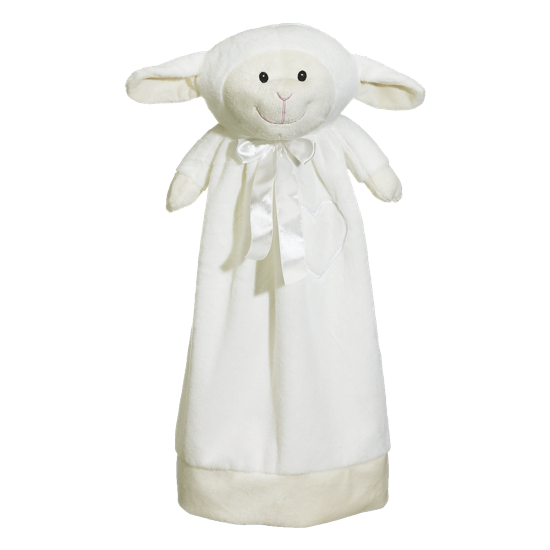 Blankey Buddy Lambton Lamb is too cute for words and is perfect for rocking a baby to sleep. Children love Embroider Buddy® Blankeys because they double as a stuffed animal anda blanket – literally the best of both worlds! And with 20 inches of plush, white embroidery space, you have lots of room to showcase your best work! Lambton is also available in a 16” Buddy and is the perfect companion for every child. Do you have any fun and creative Embroider Buddy® gender reveal ideas? We would love to hear them! Share them in the comments below.